Bolivia gets her name, thanks to Simón Bolivar, the man credited for leading the War of Independence against Spain in the 19th century. Bolivia is a land-locked country located in central South America. Her neighbors are Peru, Brazil, Paraguay, Argentina and Chile. She is one of the poorer countries in Latin America, mainly due to her geography. Her topography is home to the great central plateau with an altitude of over 12,000 feet and stretching 500 miles in length. This plateau is home to Lake Titicaca, one of the highest and deepest lakes in the world. She also has three of the tallest peaks in all of South America. Other highs: two of the top five, highest altitude cities in the South America are in Bolivia. One is appropriately named, “El Alto,” meaning “High.” It is said that clouds drift through the living rooms of the citizens that live there. They also have a long history of coca growers. The coca leaves are made into a tea which can help prevent altitude sickness. The coca leaves, are the same ones from which alkaloids can be chemically extracted and exported illegally as the popular drug, cocaine. The tea, however, has only a slight stimulating effect, more like a cup of coffee. Her people are a mix of Spanish, Quechua and Aymara, (each of these ethnic groups brought with them their own language and all three are official languages of Bolivia.) There are also a few dozen Amazonian ethnic groups, which is why today, her official name is the Plurinational State of Bolivia. Some of these ethnic groups live in complete isolation from mainstream Bolivia. Rich in history, Bolivia is home to one of the world’s most ancient and advanced civilizations; the Aymara, dating back some 2000 years (about 950 AD.) Today, all that is left as evidence of this civilization is the ancient ruins of the city of Tiwanaku. Bolivia was also controlled for a time by the Inca Empire, which was then overthrown by the Spanish. Bolivia finally gained her independence in 1825. You would think independence would be a good thing. However since then, there has been war, turmoil and a constant fight for freedom over dictatorship. Even today Bolivia is torn between nationalization and privatization with constant pressures from the world’s superpowers, as Bolivia is a country rich in resources. She is home to the largest salt deposit in the world. A vast patch of white that can be seen from space, is southern Bolivia’s Salar De Uyuni. It is an expansive desert of over ten billion tons of salt covering nearly 5,000 square miles. The salt however covers up the world’s largest lithium deposit. Lithium, which is used in batteries, is a metal the government believes will bring great wealth to Bolivia. The dilemma is how to obtain the lithium without destroying the salt and still keep the profits in Bolivia. Bolivia gets a ton of rainfall, from 5 to 8 meters annually. All rivers that cross through Beni (an area in northern Bolivia) are tributaries of the Amazon River. The Amazon River pushes so much water into the Atlantic Ocean that fresh water is found over 100 miles out to sea! She has many different ecosystems, which the government has been diligently trying to protect with new environmental laws. The biodiversity of the tropical rainforests to the Pantanal wetlands are among some of the most biologically abundant in the world, with incredible varieties of plant, animal and bird species. 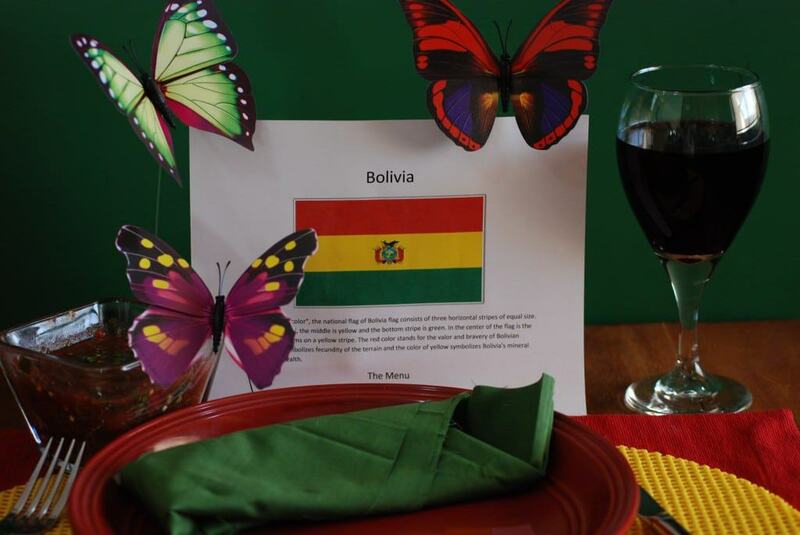 Bolivia is also home to the largest butterfly sanctuary in the world, holding over 3000 species. Bolivia gets first prize in the world for her number of certified, tropical forests. Bolivia is self-sufficient in almost all food staples. In the highlands they grow tubers, maize, and legumes, Guinea pig is a well-loved food in most of Bolivia. She is home to huge cattle ranches in the northeastern grasslands. There, many of the wealthy ranchers don’t even know how many head of cattle they have since the grasslands and lakes make caring for them effortless. In the eastern portion of the country, they grow rice, sugar, and make various cooking oils. Bolivia is rated in the top twelve nations in the world for organic agricultural land. She also has bountiful wine regions, (some started in colonial times by the Spanish) which are now integrating modern wine making techniques and creating a hugely popular export. 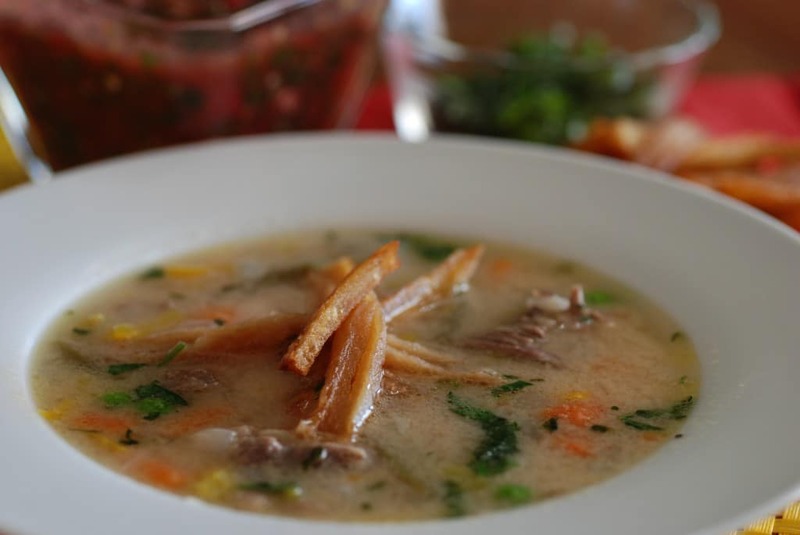 The cuisine in Bolivia is regional, based on what is locally grown and also influenced by her heritage and neighbors. Typically, breakfast is a light meal with the main meal of the day eaten at lunch, called “Almuerzo.” This is usually a four course meal that is followed by a welcomed siesta (nap). A light meal is usually served there around seven in the evening. 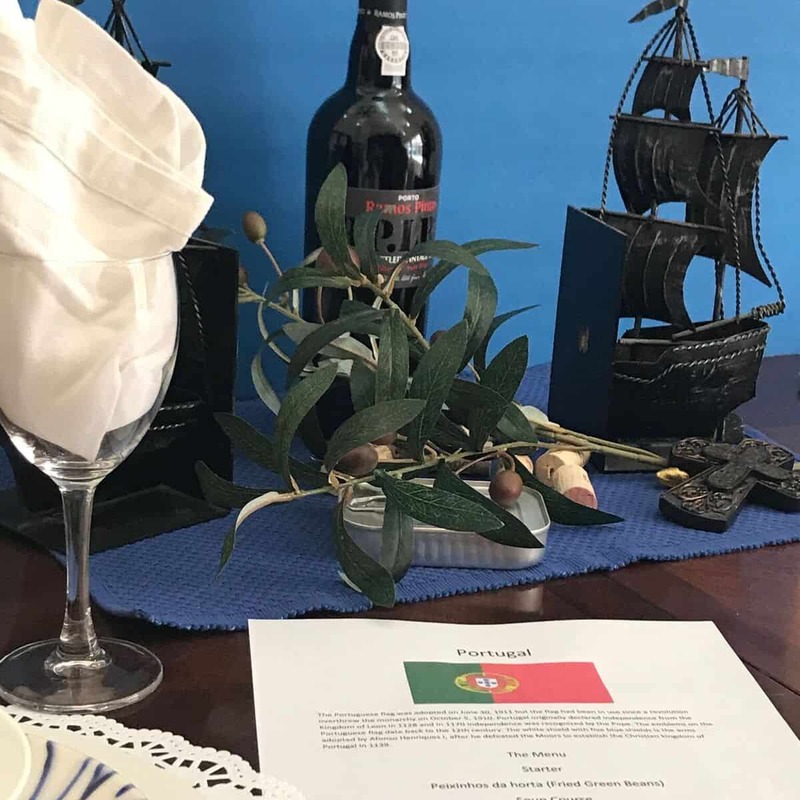 The table was set with butterflies as our centerpiece and of course the colors of the national flag; red yellow and green. As the host, I filled our glasses from a bottle of red wine that came from Bolivia. We raised our glasses and toasted, “Salud,” which simply means “Cheers,” in Spanish. Then I said, “Provencho,” which literally means “Benefit” or “Profit,” and is considered a light-hearted invitation to the guests to begin eating. The guests’ proper response is “Gracias!” meaning “Thank you!” We used our utensils in the continental style, as would be typical there. Utensils are always used in Bolivia, even for hard to cut items, like some fruits. The appetizer served was Salteñas. 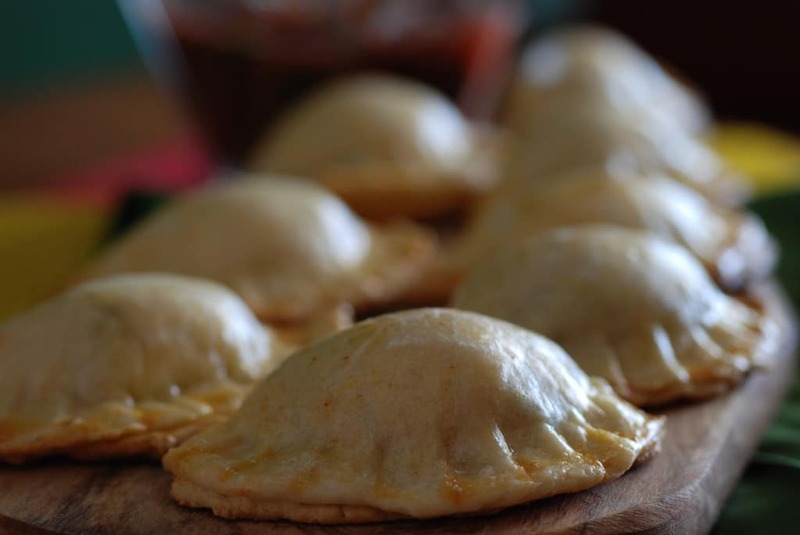 They are very similar to empanadas, like we had with our Journey to Argentina. This time they were stuffed with minced beef, onions and potatoes. 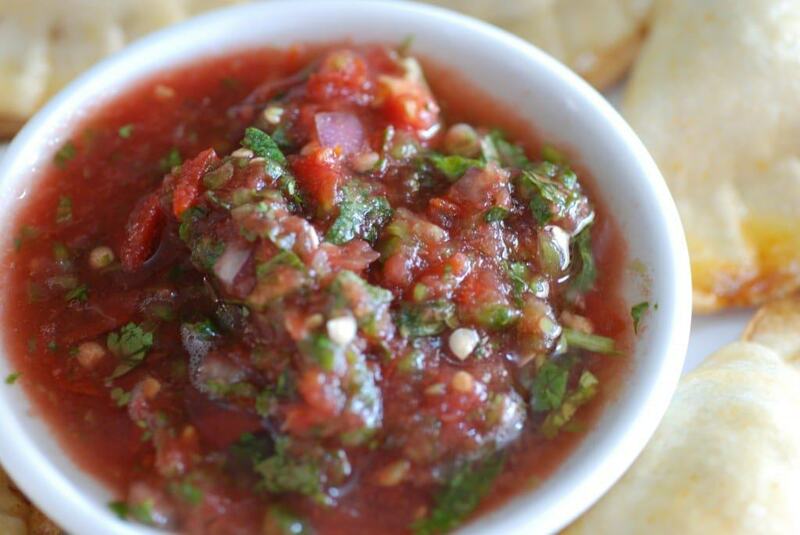 The salsa, called Llajwa or llajua, was the perfect complement. A spicy salsa is found on every table in Bolivia. It is typically made from a pepper called locoto and instead of cilantro, they use a plant that is similar but different, called quillquiña. The salsa ingredients are normally ground on a large flat stone with a pestle, called a batan. We loved the spicy salsa and it was excellent in the soup and on the main dish as well. The main course was really a meal all by itself. A dish called Silpancho, is a true comfort food that could be served for any meal of the day. The lean meat, rolled in bread crumbs, then pan seared, is reminiscent of a chicken fried steak. It is served over fried potato slices and rice. 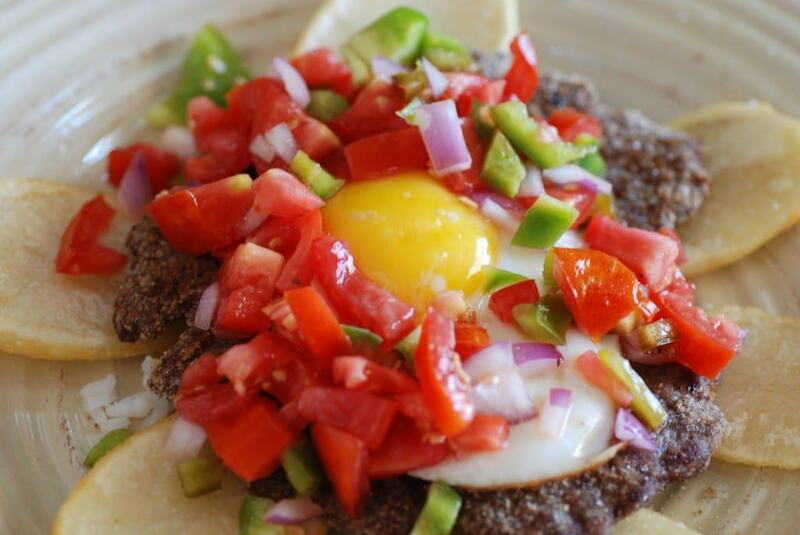 On top of the meat, a fried egg is placed sunny side up surrounded by fresh tomatoes, peppers and onion and drizzled with a light vinaigrette. This was another keeper from Bolivia; beautiful and delicious. 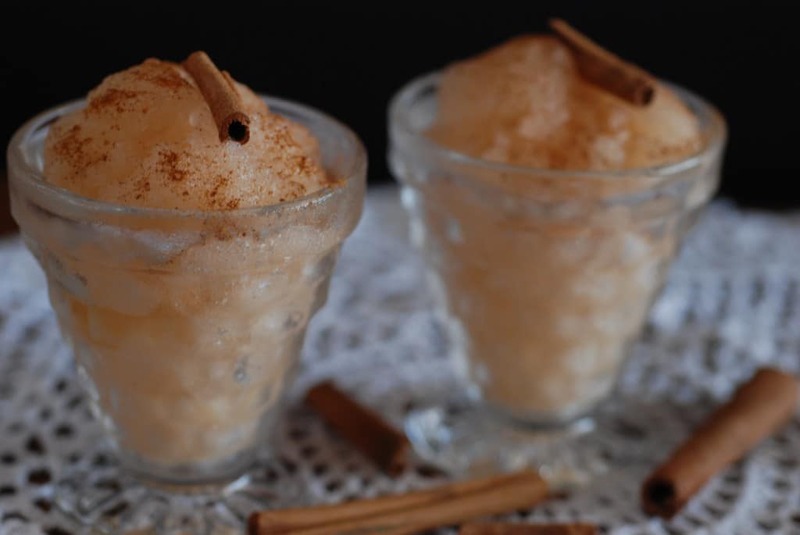 For our dessert, we savored the simplicity of a cinnamon sorbet. It was light, refreshing and the perfect end to our Bolivian feast. If you ever have the good fortune to be invited to a Bolivian meal, there are a few things you should know. Arrive about 15 to 30 minutes late. Take a small gift of flowers, chocolates or wine. Wait to be seated until the host tells you where to sit and everyone is present. Always keep your napkin on your lap; never lay it on the table. Always keep both of your hands visible and elbows off the table. If someone asks for something to be passed to them, like a salt shaker for instance, do not hand it directly to them. Instead, place it on the table near them. Never fill your own glass of wine; there are all kinds of taboos and rituals for properly pouring wine. Also, don’t comment on how much you love the food until the end of the meal or the host will keep giving you more. Never take the last piece of anything, as that is considered greedy. Always stay seated until everyone has finished eating at the table. When leaving, thank your host for the delicious meal and give three kisses, alternating cheeks. This is done as a greeting and as a goodbye. As we end our journey to Bolivia, I leave you with a New Year’s Eve ritual. 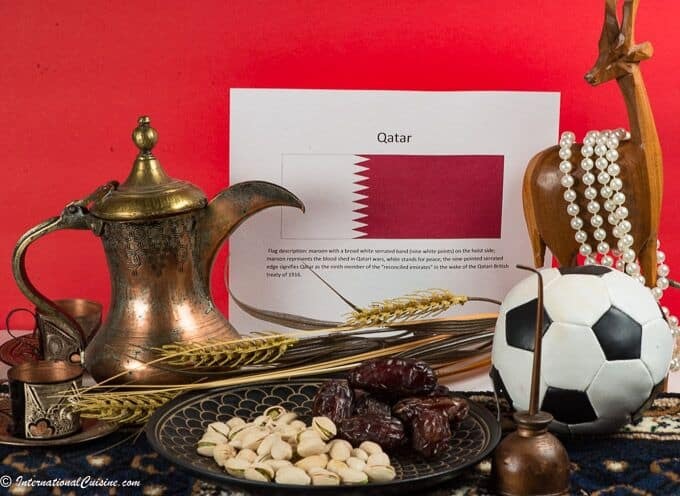 The dinner table should be decorated with your best tablecloth and dishes. At least one red candle needs to be on the table to signify that love will always be present in the family. Make sure there is something gold on the table and everyone must eat one teaspoon of cooked lentils before the meal to ensure prosperity in the New Year. The most important ritual is to eat twelve grapes, just before midnight for good luck, making a wish upon each one prior to the countdown.